The vinciDuino evo uSD is here. Is a clean room implementation of the Arduino Leonardo platform with a twist, and a complete USB-based microcontoller development system and on-board micro SD card reader. Throw away that FTDI cable and go native-USB and get rid of that SD card adapter module. Plug it in, connect a mini-B USB cable and you can start writing code immediately. With the built-in AVR bootloader or with FLIP you don't even need an AVR programmer. 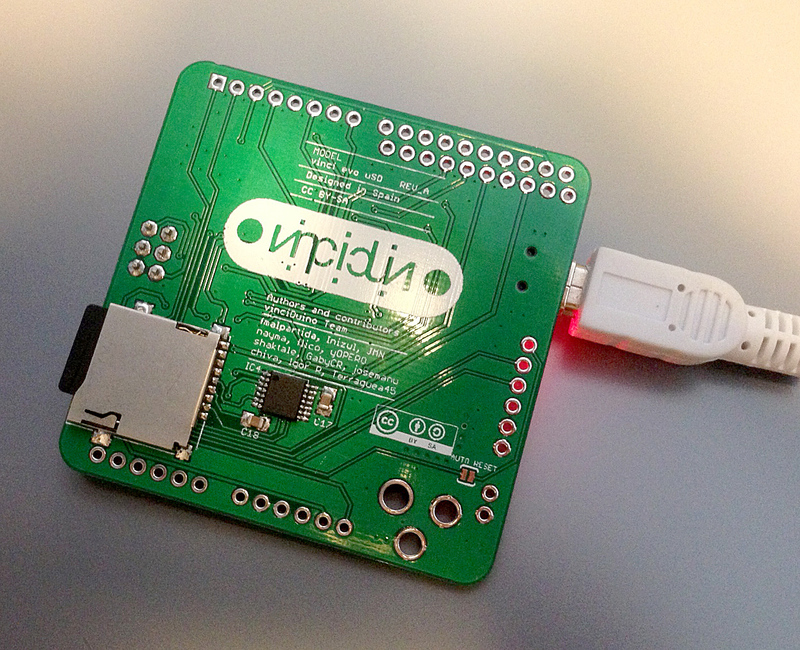 The board is compatible with current Arduino boards and shields like the vinciDuino. It has the same form factor of the Arduino Pro with the same pinout mapping as any Arduino. Programming couldn't be easier, it is fully compatible with Arduino's IDE when choosing Leonardo as your board. The board has the same features as the vinciDuino but with a nice uSD connector at the back ready to use. Orders will start to ship as early as January.